An upright sandstone pillar. Nothing has been discovered in its vicinity. Information from OS (DGB) 22 August 1953. 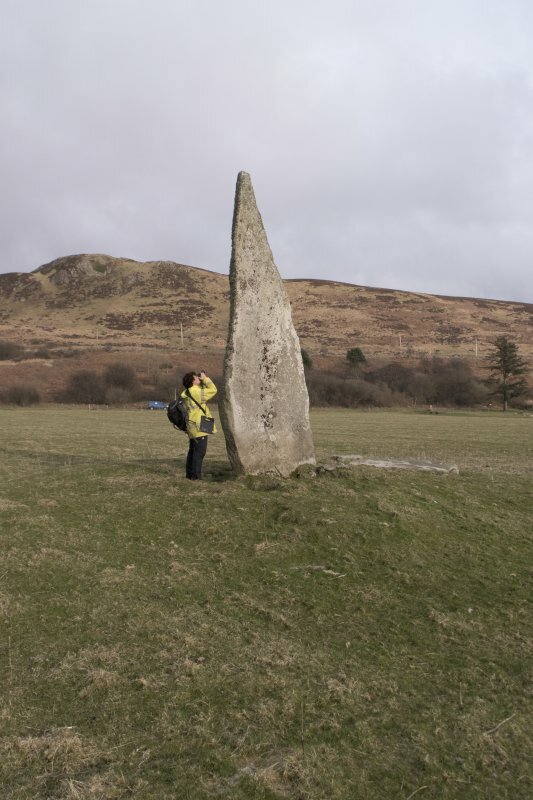 Standing stone, height 15ft 7ins, breadth about 5ft 6ins, thickness about 9ins. Stands on a knoll composed of stones. Visited by OS (DGB) 9 October 1953. A similar block lies to the S, 27ft long and 5ft 6ins at the base. The two may have formed part of a setting, possibly circular. Information from OS (IF) 12 March 1973. NR 8905 3633. 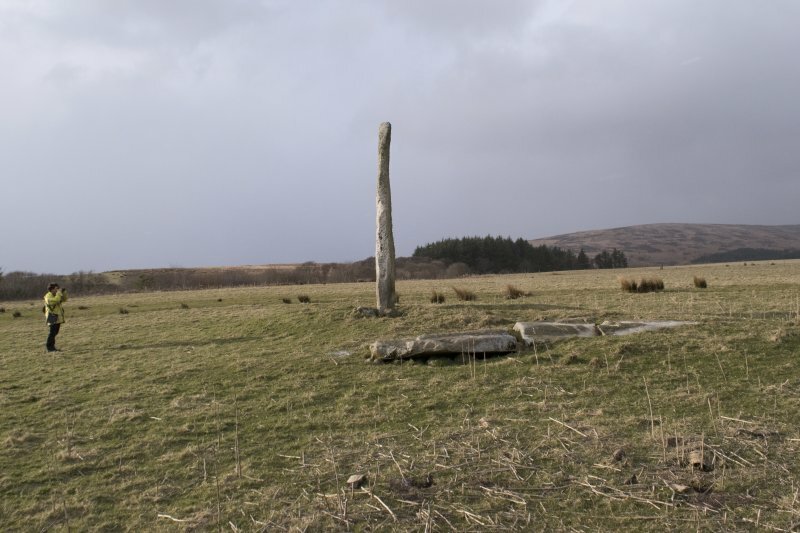 A standing stone situated in level cultivated land. It is 5.0m high, 0.3m thick and 1.8m broad at its base tapering to a point. 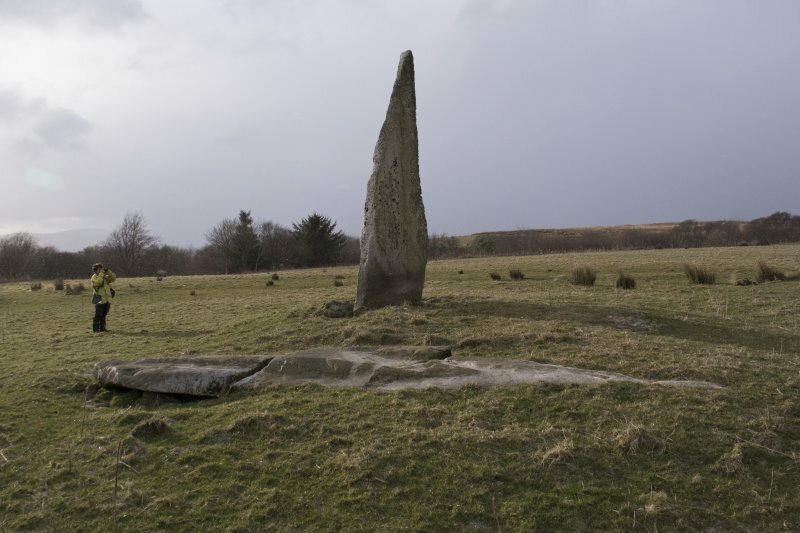 A similar stone, broken and recumbent, lies 4.5m to the south-east; it is partially turf-covered and approximately 3.5m long and 1.5m broad. 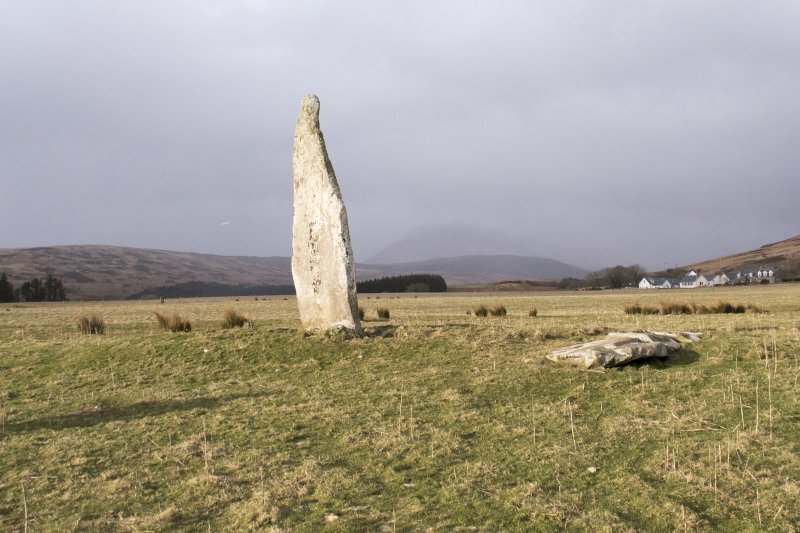 The stones are enclosed by an oval stony mound 9.5 m E-W by 8.0m and 0.4m high which is possibly a field clearance heap. Surveyed at 1:10 000. Photographed. Visited by OS (TRG), 12 October 1977.